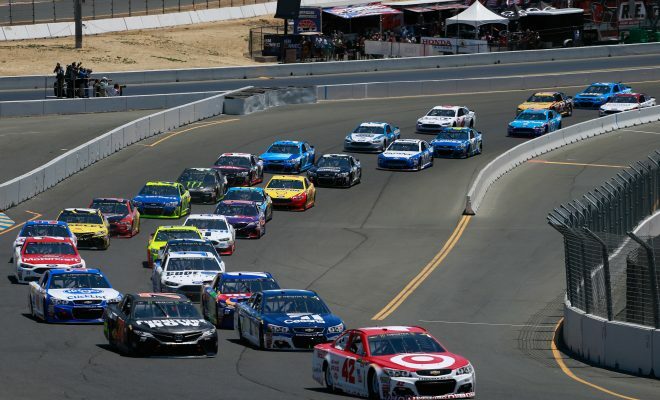 The Monster Energy NASCAR Cup Series is headed to Sonoma Raceway for the Toyota / Save Mart 350 and our Sarah Handy breaks down her picks and who you may want to pay attention to this weekend. Clint Bowyer: What a consistent and successful year it’s been thus far for the driver of the No. 14 Ford Fusion for Stewart-Hass Racing. Bowyer has amassed 2 wins, 4 top-5’s, and 8 top-10 finishes in 15 starts. He has consistently run up front regularly and found victory lane this season after a huge winless drought. SHR has shown they’re powerhouse team, even more so this season. With the momentum that Bowyer and his 14 team have on their side I feel they could very well win on Sunday for their third victory in 2018. In 12 starts at Sonoma, Bowyer has 1 win which came back in 2012 when he was with Michael Waltrip Racing. While his average finish sits at 10.67 he did finish second in this race a year ago. If Bowyer doesn’t win, I see a solid top-5 finish at the end of Sunday’s event. Kyle Busch: The driver of the No. 18 Toyota Camry for Joe Gibbs Racing has had no problems finding victory lane in 2018. While it took a while longer than many thought once he won the wins kept coming. In 15 starts he has 4 wins, 10 top-5’s, and 12 top-10 finishes to go along with leading 888 laps. Sonoma has been a decent track for the 2015 Sprint Cup Series Champion. In 13 starts at 2.52-mile road course, Busch has 2 wins (2008, 2015), and in his last three starts he hasn’t finished worse than 7th, including a fifth-place result in this race last season. AJ Allmendinger: Dinger as he’s also known is known for being good at the road courses, but out of the two on the MENCS schedule, Sonoma isn’t his best, Watkins Glen is. In Allmendinger’s last five starts at Sonoma, his best finish is 9th in 2012 when he was with Penske Racing. In this race last season, he finished a disappointing 35th after starting a solid fifth. An upset is possible at any track and with road course racing you never know who may win but with an average finish of 22.44 I don’t see the No. 47 Chevrolet Camaro ZL1 finding victory lane this weekend. I’m hopeful with his two top-10 finishes on the season that AJ may very well improve his track record here and finish top-15 if not better. Ryan Blaney: While Ryan Blaney has yet to find victory lane in 2018 he could be a surprise this weekend. The No. 12 team has succumbed to bad luck on several occasions this season after running very well. In two starts at Sonoma, the 24-year old has finishes of 9th (2017) and 23rd (2016). 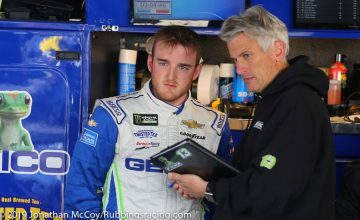 In his starts at Sonoma and Watkins Glen Blaney bettered his finish on each road course track when he visited each of them the second time. 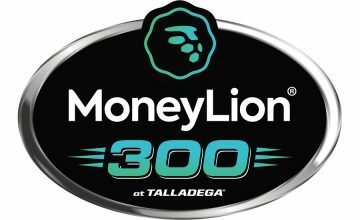 In 15 starts this season Blaney has 3 top-5’s, 8 top-10’s and has led 444 laps heading into Sunday’s event. A win may be far fetched with how well Harvick, Ky Busch and a couple others have run recently but I look for Blaney to finish better than his 9th place result here last June. Kurt Busch: Kurt hasn’t yet won in 2018 but he’s been consistent. In 15 starts he has 3 top-5’s, 8 top-10 finishes and has led 263 laps. Sonoma is a track where Busch has found victory lane back in 2011 when he was with Penske Racing. In his last seven starts at the road course, Busch hasn’t finished worse than 12th and in this race last season he finished 7th. I look for Busch and his No. 41 team to have a solid day at Sonoma inside the top-10. Jimmie Johnson: The 7-time Champ has been improving his 2018 season lately. 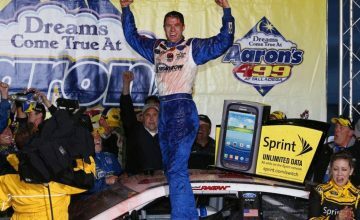 Team 48 hasn’t found victory lane yet to continue Johnson’s longest streak without a win in NASCAR’s premiere series. However, I’d keep an eye on Johnson this weekend. A win may be fat fetched but a solid finish certainly isn’t out. The Irish Hills of Michigan weren’t kind to the veteran driver as he left with a 20th place result, but before that he had finishes of 8th (Pocono) and 5th (Charlotte). In 16 Cup starts at Sonoma, Johnson has 1 win (June 2010). It’s important to note that in his last 10 starts his worse finishes are 15th (2008) and most recently back-to-back finishes of 13th (2016, 2017). Kasey Kahne: Kahne may not have Hendrick power under the hood this season but Sonoma has been decent to the driver of the No. 95 Chevrolet Camaro ZL1 for Leavine Family Racing. In 14 Cup starts at the road course, Kahne has 1 win which came in 2009 when he was racing for Evernham Motorsports and in his last six starts his worst finish is 24th in this race last season. Before that he had 4 top-10’s in a row. This could be a track that Kahne has a very consistent day at and solidly finishes top-15 if not better. Who do you think will win the first road course race of the season? Let us know in the comments below. The Toyota/Save Mart 350 from Sonoma Raceway is set for 3:00pm EST and will air on FS1 or you can listen to it via PRN.